Computer GK Sample Question Paper No. 6: Computer GK Sample Question Paper No. 6 as part of Computer GK Sample Papers for Competitive Exams, PSU Exam, State Govt & Central Govt. Examinations held each years. Here is Sample questions asked based on Computer GK in various exams. Q.81 What does DRAM stand for? Q.82 Which one of the following is not an Operating System? Q.84 Which company is not a microprocessor manufacturer? 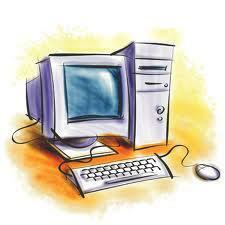 Q.85 Which company is not a PC manufacturer? Q.86 How many bits are in a byte? Q.87 What does GUI stand for? Q.88 What does CPU stand for? Q.89 Which of the following is not a programming language? Q.90 What does LAN stand for? Which company is known as Big Blue ?